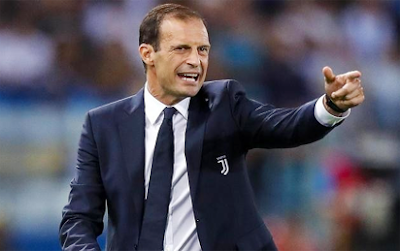 Allegri Massimiliano, Juventus coach agreed with the referee’s decision to send him off during his side’s shock 3-0 defeat to Atalanta. He suggested that there was an air of inevitability about his team’s first domestic defeat of the season. “It was right to remove me from the pitch, I was agitated and the officials were impeccable throughout. Compliments to the referee,” he stated it to reporters. Juventus were unbeaten in 22 previous League and Cup matches this season, their only two defeats coming in the UEFA Champions League. But Allegri said they had to lose at some time. It also ended their run of four successive League and Cup doubles. “It was in the air,” he said. “You get bad nights in football. I think we were probably a bit tired mentally.” “It’s nothing to get dramatic about, as it was just an off day. Allegri said the most important thing was to learn from what went wrong. “As I’ve said, that’s football.